The PSW-800 Series are economical pressure switches which feature an easy-to-adjust setpoint with locking set screw. They utilize a sealed piston or diaphragm-piston design, which is ideally suited for harsh environments. 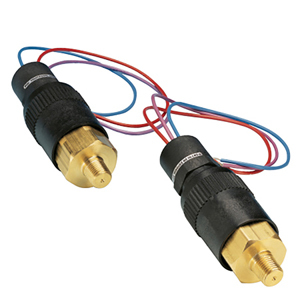 All models come with 300 mm (12") color-coded leads and a ½" female conduit fitting for electrical connections.